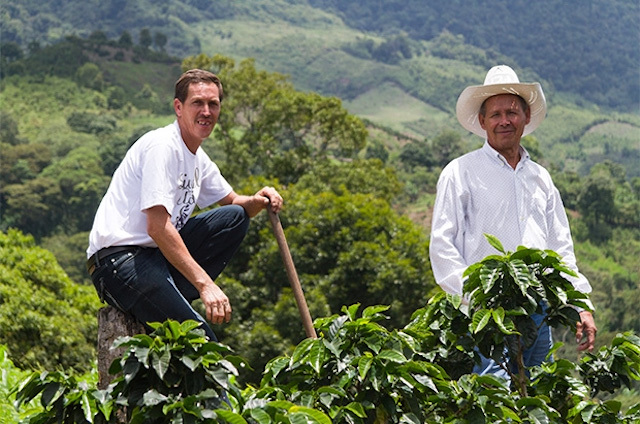 TechnoServe has been helping smallholder coffee farmers in Central America to grow their incomes for over 35 years. This region is essential to global coffee production – Central America and Mexico produce 15 percent of the world’s Arabica coffee – and coffee is essential to the region as well, where more than 1.3 million people depend on coffee cultivation. These coffee-based livelihoods are becoming less and less viable, however, as global prices fluctuate, as does the climate, causing increased instances of drought and disease on coffee farms. Smallholder farmers are especially impacted by these changes, as they often lack the resources and training to invest in and implement best crop management practices, and their yields decrease disproportionately, resulting in loss of employment and income. TechnoServe has worked for 35 years to provide these farmers with the knowledge and resources they need for their farms to thrive, producing high quantities of a high-quality product that can bring them premium prices in a stable market. Our programs have undergone many adaptations and iterations as we incorporated learnings from past projects and tailored programs to changing geographies and economies year by year. One significant leap in our impact took place in 2011, when we made an important shift in how we provide agronomic training and technical assistance in the region by adopting TechnoServe’s accelerated adult learning methodology, CREATE, a training delivery model that emphasizes hands-on learning and has proven successful in our programs in Africa. Through the Coffee Initiative, funded by the Bill & Melinda Gates Foundation, we trained nearly 140,000 East African coffee farmers to increase their yields by nearly 50 percent (for more information, view a recently completed external impact evaluation conducted five years after the project's completion, which shows how these results have endured over time). Inspired by the impact we achieved in Africa we were able to effectively adapt the methodologies for Central American farms and farmers with exciting results. Guatemala 2011 – 2017 McDonald's This program trained over 15,000 smallholder coffee farmers to raise their coffee yields by 48 percent, while helping over 90 percent to comply with TechnoServe’s coffee sustainability scorecard. Guatemala 2015 – 2019 Trade Facilitation Office of Canada, Peet's Coffee This four-year initiative is working to train 1,000 farmers in agronomic and sustainability practices in eastern Guatemala, and to train and incorporate women and youth into the coffee sector. Honduras 2013 – 2017 U.S. Department of Agriculture Since 2013, we have helped over 9,000 smallholder coffee farmers to increase their coffee productivity by over 44 percent and revenues by 60 percent. Approximately 7,000 producers now market their beans with a cupping grade of 80 percent or more on the SCAA scale. Honduras 2015 – 2018 The Kraft-Heinz Company In 2015, another 2,500 coffee producers in Honduras started receiving TechnoServe training to improve coffee production, as well as training with grain crops as a means to fight food insecurity. Nicaragua, El Salvador 2014 – 2018 The U.S. Agency for International Development, the J. M. Smucker Company, the PIMCO Foundation TechnoServe is helping over 2,400 smallholder coffee farmers in El Salvador and over 6,600 coffee farmers in Nicaragua to improve yields and financial literacy. Results from the most recent harvest show a 43 and 58 percent increase in yields in El Salvador and Nicaragua, respectively. Engage the private sector – especially exporters willing to invest in their supply chains – for greatest impact. 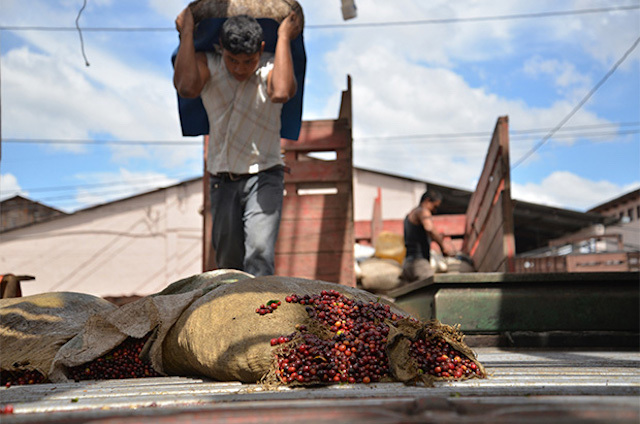 In Central America, 70 percent of TechnoServe´s coffee value chain development projects are funded by private sector partners who are motivated by shared value and sustainability concerns. 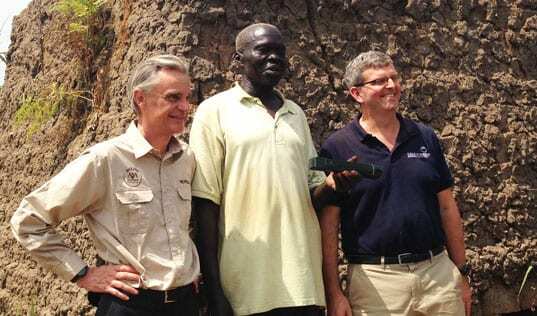 Their contributions have positively affected the lives of over 35,000 coffee-producing families. However, the most successful coffee projects TechnoServe has implemented in the region have aligned objectives with host-country coffee exporters to facilitate important value additions to participating farmers’ crops. For example, in Honduras, TechnoServe partnered with six exporters, including Beneficio Santa Rosa and Volcafe, allowing over 8,500 smallholder coffee farmers to sell directly to exporters (through cooperatives) rather than via intermediaries. This direct sale, along with the ability to sell based on weight rather than volume (both firsts for these farmers), allowed farmers to capture a higher price. Additionally, the farmers received financing to purchase inputs (enabling them to increase yields) and their coffee is now cupped, allowing them to receive better prices for higher-quality coffee. This shared value approach creates sustainable relationships between farmers and participating exporters – exporters also benefit from the stable supply of higher quality coffee sourced directly from producer cooperatives, as intermediaries often mix coffee from different elevations and quality characteristics. These direct, win-win relationships encourage exporters to invest in smallholder producers. In El Salvador, for example, Unión de Exportadores (UNEX) has provided financing and seeds for the leaf-rust tolerant coffee varieties Catisic and Cuscatleco, increasing farmers’ resilience to the fungus, which can have a devastating impact on their harvests and income. These tolerant seeds have now been used by over 800 farmers to establish nurseries with TechnoServe support, resulting in the planting of over 300 hectares of rust-tolerant coffee. Production will drop before long term gains are observed. The key is to continuously investigate what is happening at the field level to have a better context. Harvest results from the 2015-2016 harvest – one year after agronomic training began – in El Salvador and Nicaragua showed a 29 percent drop in productivity. Without results from our field research, this would have been very disconcerting. However, a production diagnostic carried out with a representative sample of farmer beneficiaries in both countries showed that while only 47 percent of participating farmers' coffee parcels were productive the first year after implementing best practices, the rest of the trees were pre-productive (meaning they had been stumped, or cut down to promote newer, more productive growth, and would begin to bear fruit in the near future), or needed to be stumped or replanted. 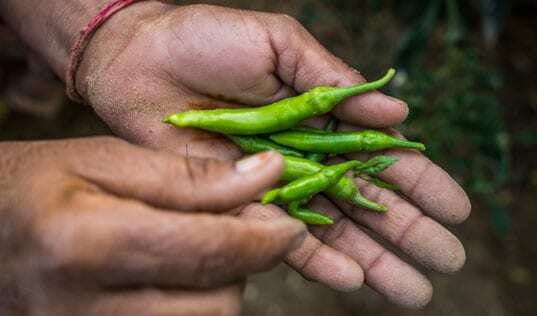 Production had dropped because farmers were stumping or replacing low-yielding or physically damaged plants, sacrificing short term yields in order to obtain higher yields when the plants began to produce again. These lulls in production are essential investments that make important, long-term productivity improvements possible. It is important for coffee project implementers to understand that farmers who adopt vital recommended practices may experience a temporary decrease in yield and income before achieving significant productivity and income gains, and they must communicate and prepare for this investment alongside their farmer partners. Adoption rates are not enough. Quality of adoption is equally important. 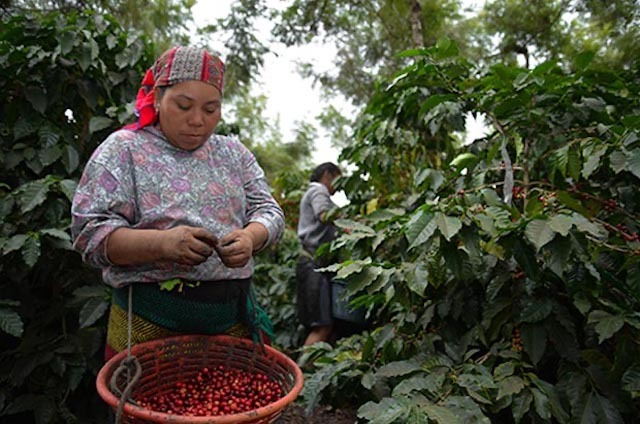 Beginning in 2012, TechnoServe´s coffee projects in Central America have made an effort to not only measure whether or not farmers adopt a practice, but to also understand the quality of their adoption. Not only is it important to know if farmers are using best practices, but also how well they are applying it. For example, when measuring the use of pruning – the yearly removal of older branches to rejuvenate the tree and promote the growth of newer, more productive stems – a “regular” adoption would involve pruning plants, while an “ideal” adoption involves pruning based on an assessment of the plants´ needs. Understanding the quality or level of adoption allows our project implementers to better understand practices farmers need greater support in adopting, allowing our teams the chance to prioritize training efforts and optimize the benefits that our farmers will experience for their efforts to implement best practices on their farms. 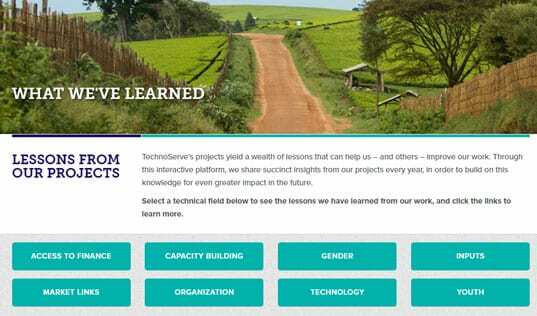 These insights illustrate how, even after 35 years and many innovations in the field, TechnoServe continues building on our successes and opportunities for growth, just as the work to improve livelihoods must always push to improve efficacy and impact in order to fulfill our mission. As an organization and as a sector, we continue sharing our results and learnings, and advancing.